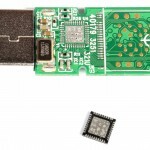 USB controller chip broken off pen drive? 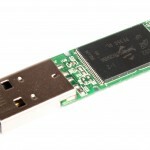 Most USB flash memory pens have a physical controller chip on the main PCB. 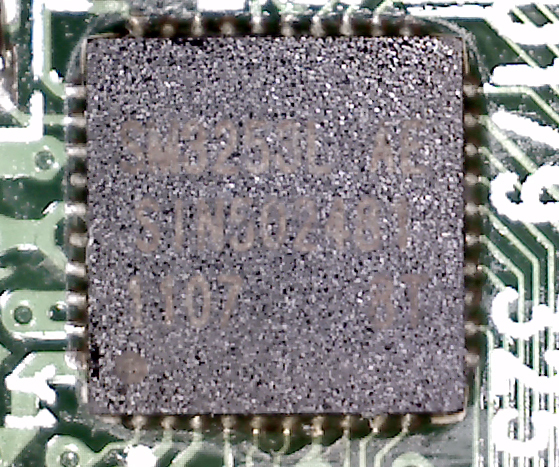 This is usually a small square chip. The large rectangular chip is your flash memory chip. 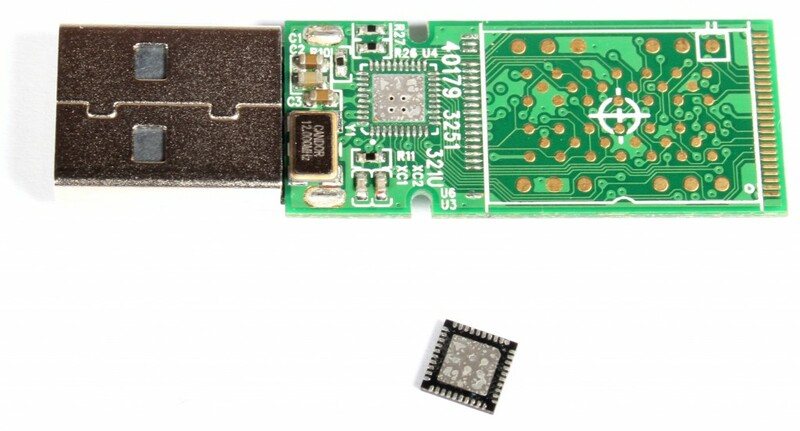 The following case study demonstrates how we recovered a clients important data when they stood on their USB memory stick causing the controller chip to break off from the main PCB. 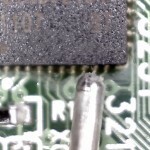 controller chip with solder in the frame – dont try this at home! leave it to the experts!!! 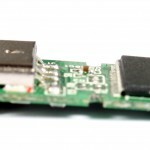 As you can see from the photograph below there was no physical damage to our clients USB memory stick, apart from the fact that the USB controller chip had come off. 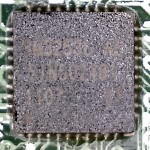 On close inspection under our microscopes in the laboratory the controller chip passed our visual inspection and tested OK on the bench. All that was left for us to do was prepare it to be reconnected using our state of the art infrared rework station. 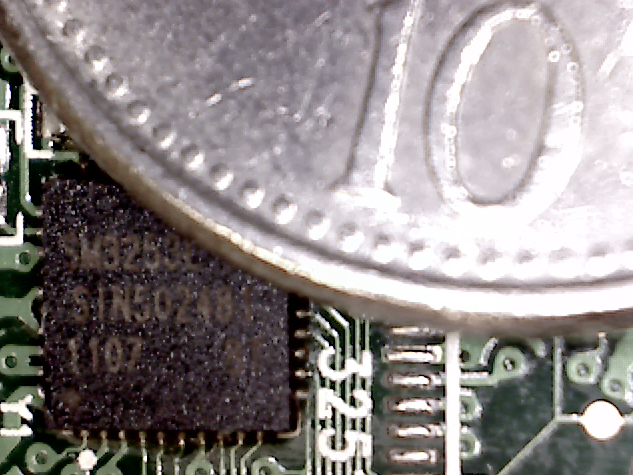 To give you an idea of scale, below is a microscope image after we had successfully reconnected the chip back onto the main PCB. 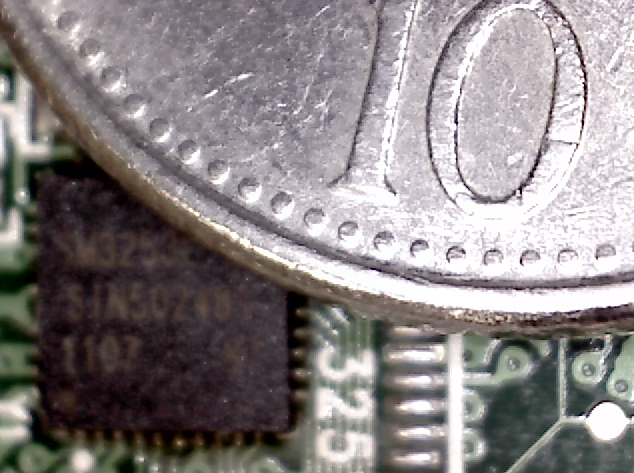 Here is the same image from our microscope but this time with the controller chip in focus rather than the 10 pence piece. All 40 connections are tested in the laboratory prior to reconnection of the clients memory stick. If you want to achieve a full recovery of all of your data from a faulty memory stick with a similar problem to this, It is important that you leave it to the experts. 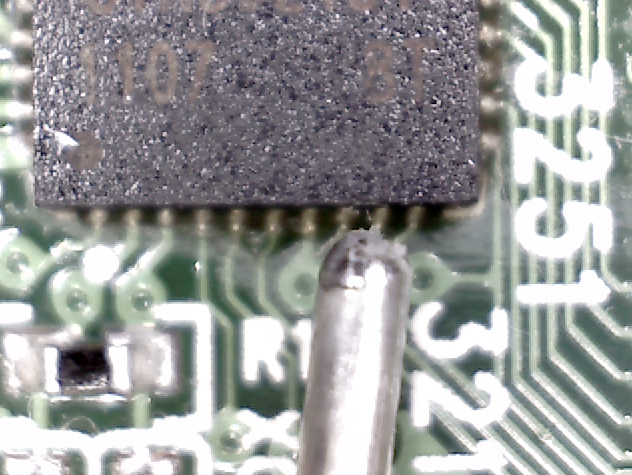 Under no circumstances should a soldering iron or hot air gun be used to re-solder a component such as this. 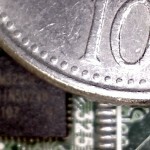 Below is a photograph taken under the microscope showing a length of very fine solder next to the controller chip. This should demonstrate to you that there is clearly no way that standard solder and iron can be used for such a delicate laboratory procedure. SaveMyUSB.co.uk & SaveMyUSB.com are trading names of watch this space as Total recall has just been brought out Company Number: xxxxxxxx Registered in England and Wales. Website designed by GetUsOnTheNet.com Copyright © 2011 All Trademarks Copyright © of their respective owners.